Feathered clouds painted the blue sky as the tradewinds finally flowed through the coconut trees. The sun hid behind the Koʻolau mountain range beaming its rays on west Oahu. My wife and I sat outside our house on the white bench my dad made out of extra two-by-fours. We like to relax and spend time together during our weekends. There was an event taking place a mile away at the Kailua Whole Foods. We had nothing else planned, which is unusual because my wife likes to have a plan, so we decided we’d take an afternoon stroll. As we walked down Kainalu Dr. I reminisced to my wife on how I would walk home from school and get into little scuffles on the side of the road. An uncle or aunty would stop their car on the road to yell at us, “Cut it out!” which only led to us fleeing the scene. Then as we turned the corner onto Ku’ulei Rd, I shared stories of my friends and I riding our bikes through the streets on Fridays after our half days at school and go to Andy’s Drive-Inn for hamburger steak. Those were good times. Simpler times. I find myself doing this often, reminiscing. Today, when you reach Ku’ulei Rd, you can be welcomed with traffic and herds of rental scooters dodging tourists on rental bikes. I never knew there could ever be traffic in Kailua, but there is now. As my wife and I made our way past 7-Eleven and towards the closed down 76 gas station, we passed by crowds of people. I knew they weren’t from Kailua or maybe they just moved in to town. People who are born and raised in Kailua can pick each other out from a crowd. It’s like this innate connection we get at birth. When we made it to Whole Foods, I was amazed at the crowd there. It was a cool event filled with music, food, and arts and crafts vendors. It was nice to see a community come together. But, while I stood there and looked around my wife knew I didn’t feel at ease, plus I’m not a big fan of crowds overall. While we waited in line to grab a little bag of kettle-corn (because, who can resist freshly made kettle corn?) I over heard a group of people talking. I began to get the feeling of me being the visitor from out of town. After we grabbed our kettle corn, we continued to make our walk around the tents. We came across a small tent that was selling handcrafted shell jewelry. There was an older Hawaiian woman, a kupuna, sitting behind the table just staring off into the parking lot as a younger woman, probably her daughter stood, talking to customers. While my wife looked through the earrings and bracelets, I looked at the kupuna and she looked straight back at me with her dark brown eyes with crow’s feet wrinkles. I smiled and nodded. She smiled back and turned back to staring out as if she was looking out at the ocean sunrise. But within that small interaction there was an understanding. The feeling of lost and reminiscences of the past were all over her face and she saw it on mine as well. We moved on and I could feel the kupuna watching me while we walked away. I was another extra that played a small role in her movie that she was directing. After we made our rounds and picked up a drink for our walk back home, we took a seat outside of Whole Foods on the small wall near the back entrance. “What are you thinking?” my wife asked, she knew I was still bothered and she’d been watching my eyes wander. We believe that it’s all about perspective when it comes to our emotions. For happiness, it’s important to find what we are grateful for instead of focusing on what we do not have. But there I sat on a wall feeling distant, small, and in search of what was. I watched the cars roar by, bikes crowd the street, people from all over the country and island share drinks and laughter, music play, and tourists come from every corner. It was definitely a positive environment. But to me, it was too much and I knew it was just the beginning. People say that Kailua is becoming this new hip place filled with small boutiques, restaurants, cafes, markets, and needs more to grow the ‘economy’. It’s a cool town for fashion trends, style, and beach goers to visit. Tourists are told Kailua is a quiet beach town and a perfect way to experience local life away from Waikiki and Honolulu. So bus loads flock over to experience this oasis of small town Hawaii which is becoming more like Ala Moana. Society believes that in order to improve a place, it needs more things. More people, more cars, more damn trees to beautify the streets, more businesses, more buildings, and more attractions. But it’s good for new businesses others would say. Increased economy doesn’t mean you have to build more, it means you have to contribute more. Investors are buying homes to turn them into vacation rentals, people are having to rent parts of their house to vacationers to help pay their mortgage and increasing property taxes, and family’s who spent their whole lives through the generations have to sell their houses because they can no longer afford it. My question is, when is it enough? So there I sat on the wall, accepting the fact that Kailua was no more. It was unreal and sad to see the constant changes over the years I lived away from Hawaii. Each visit showing the downfall of a small town. I can only imagine what my parents see, being born and raised in Kailua, as they drive through their hometown. I looked over to my wife and asked, “You ready?” She nodded and we got up from our seat and made our way back home while I continued to reminisce of the Kailua that once was. With every end, there is a new beginning. Mind you, I have no ill feelings towards the new development and people coming into Kailua. Places change as time evolves. Though I can’t hide the fact that the small beach town that was known for its quiet and country-like feel is now crowded, filled with noise, and more changes are to come. I still love my Kailua, because once a Kailua Boy is always a Kailua Boy. But as times change in Hawaii, we all, including the tourists and people moving to Hawaii, need to take a step back and slow things down or else the small things that makes us fall in love with this paradise we call home will soon be gone. With the popularity of Airbnb and other online vacation rental sites like Vacation Rentals by Ownerand HomeAway, the numbers of vacation rentals on Oahu is soaring. Denby Fawcett is a longtime Hawaii television and newspaper journalist, who grew up in Honolulu. Her new book, Secrets of Diamond Head: A History and Trail Guide is available on Amazon. Kawai Nui Marsh Plan(s): An Eco Disneyland or Wet-Lands Preservation? The Kawai Nui marsh is sacred to practitioners of Hawaiian culture and was designated a Wetland of International Importance in 2005 under the Ramsar Convention. The marsh is home to several endangered water birds and habitat for migratory birds during their yearly migration. It also serves as a refuge and open-space that brings a sense of peace and nature to the residents of Kailua. The state government; through its DLNR Departments of Fish and Wildlife and the Department of State Parks are proposing major construction and development in and around Kawai Nui marsh according to a “consultant created” plan called the Kawainui‑Hamakua Marsh Complex Master Plan. · A bridge and walkway over Kawainui Canal and Maunawili Stream. Keep It Kailua believes The State’s Plan, which has been presented to public via presentations; including renderings, photos and maps, looks more like a “Development Plan” than a “Preservation Master Plan”. So much development? Yet no one seems to know where these concepts originated? Windward Representatives Cynthia Thielen and Chris Lee requested DLNR to provide them with a copy of the DLNR’s contract with the consulting firm designing the plan. So far, DLNR has failed to honor their request for these public documents. Many of those who attended the public meetings regarding the marsh and the State’s hired consultant’s presentation to the Kailua Neighborhood Board (KNB) believe the State’s plan serves the construction industry, tourism industry, and commercial landowners wanting another anchor attraction to bring more visitors to the Windward side. When the State officials were asked to provide a model for management and enforcement of Kawai Nui, they admitted to having none (Kailua Neighborhood Board PZE meeting 9/17/13). Keep It Kailua does not believe the proposed State plan properly addresses the management of the wetlands, its habitat, water quality and the protection of wild-life. In addition, the plan does not sufficiently explain the protection of archaeological sites, impacts from buildings on or near the wetland, and impacts from additional vehicles, residents and tourists visiting the various building sites and parking areas on or near the wetlands. In contrast to the State’s proposed plan, a grass-roots Windward community sponsored plan called the Kawai Nui Marsh Restoration Plan has been presented to the public and State officials. This proposal was developed with assistance by the recently‑deceased Kahu Ryan Kalama, who was President of the Kailua Hawaiian Civic Club. The restoration plan has been reviewed and endorsed by numerous organizations including The Outdoor Circle, Hawaii’s Thousand Friends, the Audubon Society, the Kailua Neighborhood Board and others. · Emphasizes preservation and protection of the marsh. · Allows Low-impact facilities for Hawaiian cultural practices. Keep it Kailua opposes the State’s current development plan for Kawai Nui Marsh and endorses the Windward Grass-roots Community proposed plan. Please attend the public meeting on the State proposed Kawainui-Hamakua Marsh Complex Master Plan on November 30th from 9 a.m. to noon at Le Jardin Academy and ask State officials to scrap their plan and utilize the Windward Community’s Proposed Kawai Nui Marsh Restoration Plan. The Kailua Neighborhood Board passed a resolution in September requesting the Hawaii Tourism Authority (a state-supported agency) to stop promoting Kailua’s “residential-zoned” neighborhoods for visitor accommodations in their marketing material. All of Kailua’s neighborhoods are zoned residential, not resort. Visitor lodging businesses (hotels, motels, vacation rentals & B&B lodges) are “non-conforming” in residential-only zoning. While there are a few Kailua vacation rentals and B&B lodges (65) that are grandfathered with “non-conforming use” certificates that enable them to operate legally, over 80% of the estimated 500 vacation rentals and B&B hotels in Kailua are ILLEGAL. Prior to the resolution, the Hawaii Tourism Authority marketing material made no reference to the fact that the vast majority of vacation rental and B&B lodges in Kailua are illegal and more importantly, it did not inform vacationers on how to know if their accommodations were legitimate or not. In addition, The Kailua Neighborhood Board explained to the Hawaii Tourism Authority that short-term rentals reduce the housing supply for local residents, contribute to escalating rents and housing prices, promote crime and negatively impact the social, environmental and cultural residential character of Kailua’s neighborhoods. Keep it Kailua believes the Kailua Neighborhood Board’s resolution is a fair and reasonable request. After all, a “public” agency should not be promoting illegal activities directly or indirectly. Last week, An AP article picked-up by many mainland news agencies ran a story regarding the resolution. Many of media outlets utilized misleading headlines such as “Hawaii town to State: Stop sending tourists here” and “Kailua Residents Want Tourists to Stay Away”. As expected, the media wants to attract readers and sell ads, so they feel compelled to use sensational headlines that are over the top. The truth is the Kailua Neighborhood Board resolution never stated or even implied visitors are not welcome to Kailua. The resolution simply asked the Hawaii Tourism Authority to stop promoting visitor lodging businesses in Kailua’s residential zoned neighborhoods. Who is to blame? Certainly the Hawaii Tourism Authority and their marketing experts deserve to be blamed for their blunder. 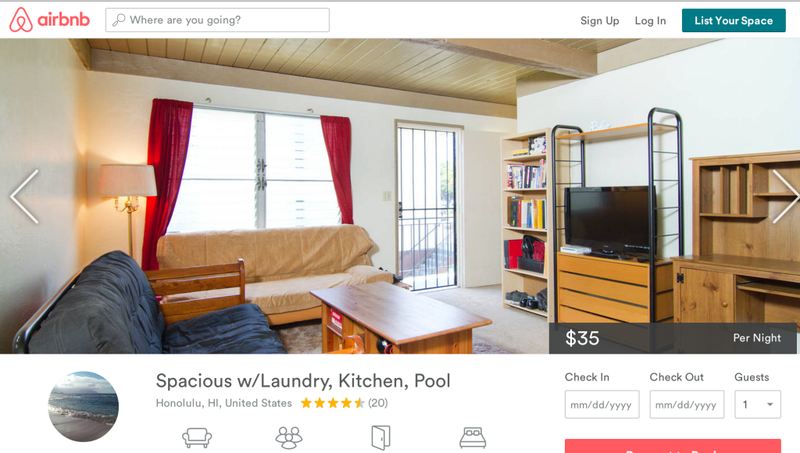 They have always been aware that the vast majority of Kailua’s vacation rentals and B&B lodges are illegal and the community opposes them, but they did nothing to inform visitors to stay away from these scofflaw businesses. After the resolution was introduced, the Hawaii Tourism Authority should have explained to the media that the resolution was the community’s objection to the promotion of illegal visitor accommodations in residential-only zoning and informed visitors on how to “officially” determine if their accommodations are legitimate. Instead, the Hawaii Tourism Authority ignored the issue of the illegal businesses and said they want to “bring balance” to the Kailua community. Our politicians and City Officials should also be held responsible for not publicly explaining the intent of the resolution and emphasizing the fact that all visitor lodging businesses are non-conforming in residential zoning. They could have easily defused the issue by sympathizing with the neighborhood board’s desire to have our zoning laws enforced and assisting the Hawaii Tourism Authority in educating visitors on how to determine if their lodging choices are legal. But ultimately, the majority of the blame should be directed at the owners of the illegal vacation rentals and B&B lodges. Illegal is illegal. These scofflaws are breaking the law. It’s time for them to be shut down! Kailua’s Tourism Sprawl = More Crime? The Star Advertiser Editorial section has suggested Kailua’s tourism boom is a factor for increasing crime in Kailua. Keep it Kailua would have to agree with the Star Advertiser’s conclusion for multiple reasons. First and foremost, is the fact that Kailua has been marketed to the world as a Windward “Resort” area by the illegal vacation rental operators and Kaneohe Ranch. So not only are the tourists being drawn into the community, but criminals are also being drawn to the community because they also see it as an up-scale resort area filled with unsuspecting tourists and multi-million dollar vacation homes. Secondly, having an increased number of strangers walking and driving through your neighborhood makes it difficult to track and identify potential thieves. And finally, Illegal vacation rental owners and their guest cannot participate in Neighborhood Watch programs, making their neighbors more vulnerable to break-ins. We all need to ask ourselves, do we want to be the “Windward Waikiki”? If not, the only real option we have is to not allow our residential-zoned homes be turned into “horizontal-hotels” and our public beaches and parks be turned into “commercial tourist traps”! It’s difficult to know how to read the recent reports of crime trends in Kailua, other than with distress. Property crimes are up. Example: There were 271 thefts from autos for March-June 2013, with 118 cases in that period last year. That suggests that maybe the increased tourist traffic in the town is a factor. Police are always warning visitors to Hawaii not to leave valuables in their rental cars, and that advice goes for local residents, too. Is it the sluggish economy? And is it only a problem in Kailua, or is it that this town has a tendency to speak up more assertively than other neighborhoods? In any case, when one of the crime victims is a veteran legislator — state Rep. Cynthia Thielen had a close encounter with a burglar at her home — the topic will remain high profile for some time. Thank you everyone for attending the annual “I Love Kailua” Town Party on Sunday, April 28th 2013. As always, the Lani-Kailua Outdoor Circle did a tremendous job in throwing Kailua’s best community party. Keep it Kailua’s booth was extremely popular with attendees who showered us with support and appreciation for our efforts to preserve Kailua’s residential character and residential housing supply. Of course, there are always a few sour grapes in the crowd. One such sour grape had the audacity to tell us he supported illegal vacation rentals in our neighborhoods because “local” residents make lousy neighbors! That comment sounded reminiscent of the former leader of Hawaii’s Vacation Rental Owners Association who wrote a commentary boasting “The long-term renters who would replace short-term renters (vacationers) would be in our neighborhoods, day in and day out. They would crowd the neighborhoods with extra cars; their kids would crowd our overcrowded schools. They would commute with the rest of us and the “pride of ownership” in neighborhoods would diminish”. Maybe it’s time for this sour grape to also return back to the mainland? Pivotal Mayoral Race May Determine Kailua’s Future! Residential Community or Tourist-Resort Destination? Most of the focus of the upcoming Mayoral election has been on the proposed 5+ billion dollar rail project. However, several other key issues also hang in the balance, one of which is the future of Kailua. The outcome of the election will be critical to determining whether Kailua will remain residential in nature or become a tourist/de-facto resort destination. Keep it Kailua recently sent out a survey to Mayoral candidates Ben Cayetano and Kirk Caldwell asking them for their positions on three issues of major concern to many Kailua residents: 1) commercial visitor lodging in residentially-zoned neighborhoods, 2) commercial activity at Kailua’s beach parks, and 3) the promotion of Kailua as a tourist destination and de-facto resort area. Keep it Kailua has also researched both candidates’ records and public statements regarding these issues. Below are summaries of the candidates’ responses to our survey questions and our analysis. Ben Cayetano stated that he would oppose any legislation or administrative action that would permit visitor lodging, such as short-term vacation rentals, in Kailua’s residential neighborhoods. In contrast, Kirk Caldwell refused to give a yes or no answer to the question and commented that he would consider licensing visitor lodging in residential neighborhoods. Additional research by Keep it Kailua indicates that Caldwell does in fact have a position on this issue. On his campaign website, Caldwell stated in a speech to Ewa residents that he would support licensing vacation rentals on Oahu. Ben Cayetano stated that he would oppose any legislation or administrative action that would allow tourism-oriented businesses, such as kayak tour companies and tour buses, to operate in Kailua’s public beach parks. Kirk Caldwell, on the other hand, stated that he would support legislation or administrative action that would allow such businesses to operate in Kailua’s public beach parks. Ben Cayetano stated that he opposes any legislation or administrative action that would promote Kailua as a tourist destination or resort area. Kirk Caldwell also stated that he would oppose such legislation, but commented that merchants benefit from visitor spending and that Kailua should welcome visitors. Given this comment and his support for additional visitor lodging in residential neighborhoods and for tourism-oriented businesses utilizing Kailua’s beach parks, we must conclude that Caldwell would support legislation or administrative action that would promote Kailua as a tourist destination or resort area. Based on the responses to the survey questions and additional investigation, Keep it Kailua believes that Ben Cayetano would work to keep Kailua a residential community and would protect Kailua’s residential housing supply by not allowing homes to be converted into commercial visitor lodging units. In addition, Ben Cayetano would keep Kailua public beach parks residential in nature and not allow them to be exploited for the financial gain of the tourism industry. Cayetano commented that he supports the tourism industry, but that the proliferation of tourism-related commercial activities in residential neighborhoods and our parks and beaches are of great concern to him. Cayetano also stated that any commercial activity that erodes the character of residential neighborhoods must be strictly regulated and in most cases banned. Keep it Kailua believes that Kirk Caldwell would allow visitor lodging units to proliferate in Kailua’s residential-zone neighborhoods, changing the land-use of properties from residential to quasi-resort. Caldwell commented that he was only concerned with noise and traffic issues. Keep it Kailua is disappointed that Caldwell did not express concern that visitor lodging businesses in residential zoning removes neighbors from our neighborhoods and diminishes Kailua’s social capital, or that using homes as commercial lodging reduces the supply of housing for residents and raises long-term rentals costs and property taxes. Caldwell’s support for the operation of tourism-oriented businesses in Kailua’s public beach parks is also highly troubling. Keep it Kailua is concerned that Caldwell does not understand that allowing visitor lodging businesses in Kailua’s residential neighborhoods and tourism-oriented businesses in our public beach parks helps promote Kailua as a tourist destination and de-facto resort area and significantly destabilizes our residential community. Bill 11 is law! Congratulations and thank you everyone who helped make this possible. This is proof that WE ALL DO BETTER WHEN WE WORK TOGETHER! Now we need to ensure that this law is enforced. If you see illegal commercial activity at Kailua or Kalama beach parks you need to call 911, say that this is not an emergency, and describe the illegal activity. The following is considered illegal: any commercial drop offs at Kailua or Kalama beach parks (kayak drop offs or other ocean activity equipment etc. ), any commercial business operating in the parks, any large or small tour buses inside the beach parks (tour buses can drop off at city bus stops, but no buses in parks), and no Segway tours in park. When I say in the beach park that also means the canal mouth, because it is also considered a part of Kailua Beach Park. We have been working on enforcement by talking with HPD. However, we all need to call and ensure that they do enforce. This is not an easy task, but it will get better with time and our persistence. Mahalo for your support! Save Kailua from becoming the Windward Waikiki! Please attend a special Honolulu City Council meeting on April 18th, 2012 6:30PM at the Kailua High School Cafeteria (451 Ulumanu Dr.). The Honolulu City Council’s Park and Cultural Affairs Committee will be having a public hearing about proposed amendments to Bill 11 (addresses commercial activities at Kailua beach parks). Keep it Kailua supports these amendments and ask all Oahu residents to support these and all other efforts to curb the continuing trend of making Kailua a tourist trap. Removes previous conditions relating to permit limitations, watercraft activities, and recreational stops at Kailua Beach Park and Kalama Beach Park. Registration on-site will begin at 5:30 p.m. Each speaker is limited to a one-minute presentation. Persons who have not registered to testify will be given an opportunity to speak on an item following oral testimonies of the registered speakers. Written Testimony – Must be Submitted prior to the Day of the Meeting: Written testimony may be faxed to 768-3827 or emailed at http://www1.honolulu.gov/council/emailpca.htm for distribution at the meeting. 15 copies are requested if written testimony is submitted on-site. By submitting written testimony, you are not automatically registered to speak. Refer to “SPEAKER REGISTRATION” procedures above.